When you are preparing for baby, you want to have all the right items in place for baby to be comfy, healthy and happy. Most of your checklist is common sense items; bedding, bottles, bath products, clothes…etc. You leave out some items for later because they are the “just in case” items. You’re on a budget, it’s understandable. Some items though, have more applications than the obvious and are very important to be on your “must have” list. 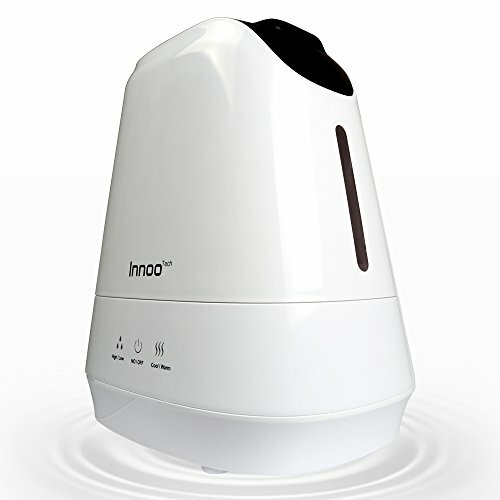 A baby humidifier for baby room is one of them, we will give show you options so you can buy the best baby dehumidifer. 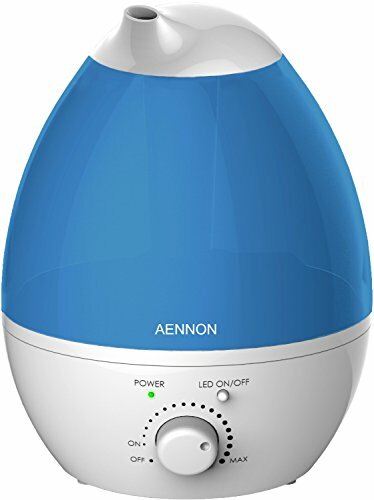 Do I need a humidifier or dehumidifier for baby? Do babies need a humidifier or dehumidifier? When choosing a baby dehumidifier or a humidifier for baby, the first thing you need to consider is your location. Does your location tend to be very humid or very dry? Before purchasing a dehumidifier for baby room, you might want to invest in a humidity monitor or humidistat for baby’s room so you have a gauge of what the average humidity is in the room at certain times. Beth Holloway from University of Rochester Medical Center gives some insight on the differences between humidifiers and dehumidifiers. Dehumidifiers pull moisture out of the air, which deters bacterial growth, mold, and dust mites spreading in an overly humid space (above 55% humidity). That is mostly in areas like the basement. If you are keeping baby in a basement room or living in a home without air conditioning, then you will need a dehumidifier for baby’s room. Otherwise, for a baby it really won’t be necessary. 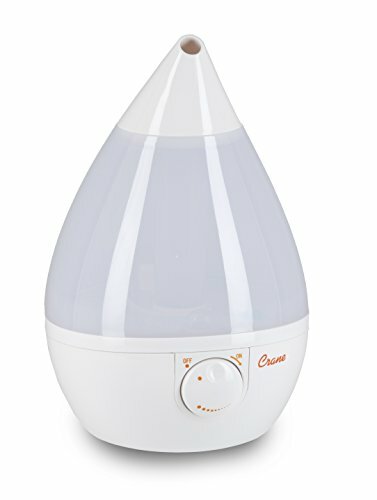 Is it important to have a humidifier for baby colds? Since little ones are still getting immunizations, they are prone to viral infections and illness. Baby gets stuffy and can’t breathe, that’s going to make them and you cranky. All they want to do is sleep, but they’re so uncomfortable. Can you give them medications? Per FDA regulations, cough and cold products should not be given to anyone under 2 years old. Decongestants and antihistamines in those products have some potentially serious and life-threatening side effects. You could use saltwater drops with the bulb like a neti pot, but WebMD says it only works best before 6 months old. They also recommend love pats, which are essentially lighter burping pats to break up mucus in the chest. They also say that there are times you might just need to wait it out. One thing that WebMD, Livestrong, the FDA and the Mayo Clinic all agree on is that there needs to be a humidifier for baby cold. During the winter months or if you tend to keep the air conditioning running all day, the air in your home will be more dry and harsh. When air is more dry and harsh; you get more sore throats, dry skin, dry sinuses and stuffy noses. If you are more susceptible to these conditions with dry air, baby is many times more affected. 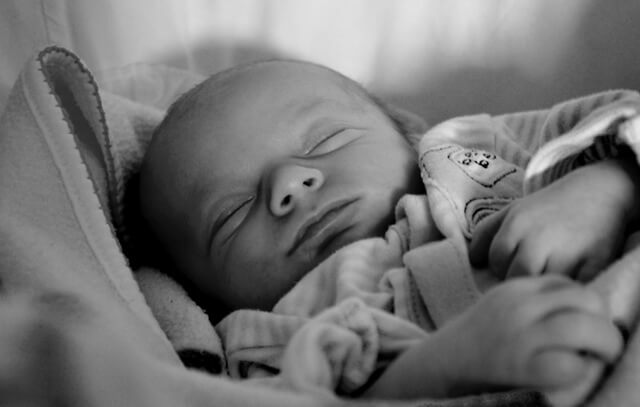 Humidifiers for babies have been found to be good year-round sleeping aids, adding a white noise component to aid in keeping baby from being disturbed from everyday noises. 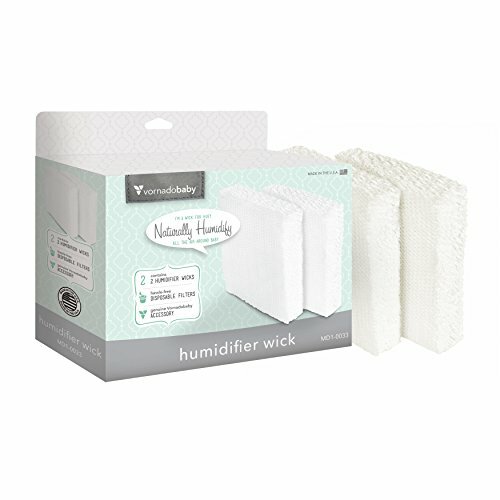 Humidifiers add moisture to the air; this moisture is an added aid to prevent baby from developing eczema or dry lips. Cool mist is only cool to our skin, the water in the basin is room temperature. 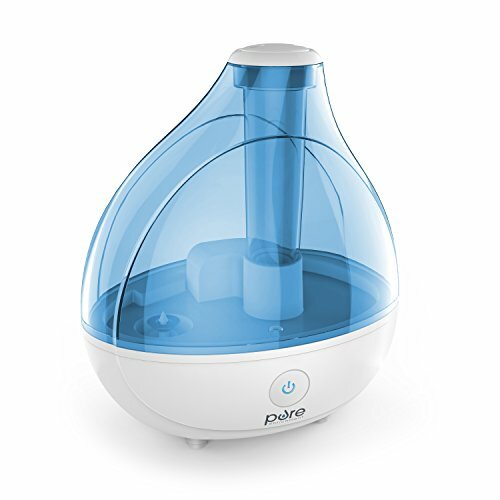 The FDA recommends this type of humidifier for baby cold, because they help nasal passages shrink. This process allows for easier breathing. 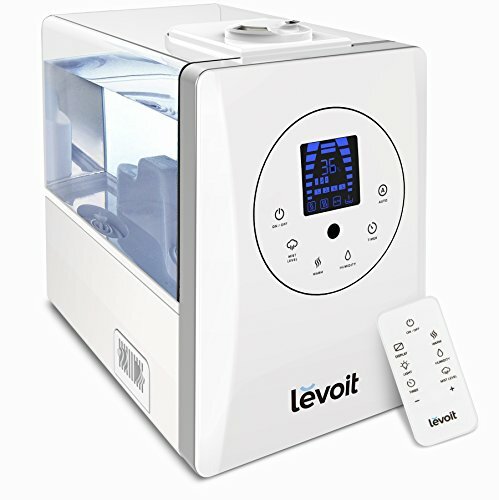 Warm mist humidifiers boil water through electricity, which creates a warm mist. This allows essential oils and medicinal inhalants to be utilized, but this can create a danger if location is wrong. Little fingers get moving early and boiling water burns. 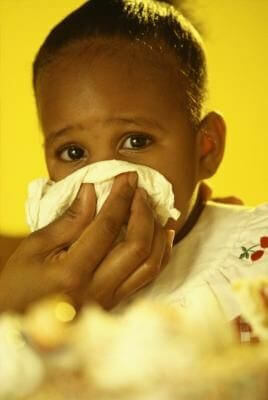 The FDA also recommends against them for colds because the warm air swells nasal passages making it harder to breathe. 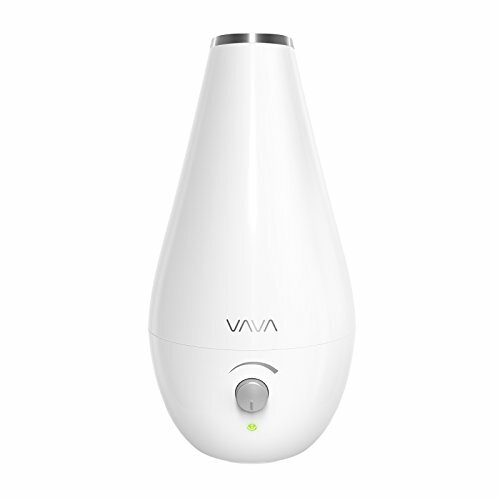 Ultrasonic humidifiers are being touted as the best humidifier for baby because they run relatively silent. They can be warm or cold mist. Instead of using a fan to generate their product, they vibrate a small plate at a speed frequency above what humans can hear. This breaks up the water into minute mist particles that float into the air. Unfortunately, this mist also creates a white dust that blankets everything. Some units create more than others, it also depends on how many minerals are in your water. If you use distilled water instead, it will not leave the dust. That will be an extra cost though. They do take up less space, meaning it will be lighter and easier to move it from room to room. Evaporative humidifiers for baby are the larger of the tabletop units, they’re also louder with the fan and have a wicking filter that requires regular replacement. The spin on the evaporative is that the fans produce a white noise that can help drown out background noise that could otherwise stir baby out of a sound sleep. It also does not generate the white dust that the ultrasonic does. The filters will be an additional cost to factor, but both units are effective. If the choice is between ultrasonic and evaporative; the main considerations to think about would be what you want the extra cost to be for, size, and sound output. If you live in an area that is consistently dry, you might consider a central humidifier. It is a great deal more expensive, it attaches to your heating system and pushes moist air throughout your entire home. If you have a large room that you want to you want to humidify, consoles are beneficial. They are around the size of an old desktop computer tower and not easily portable. With any piece of equipment, there is maintenance that is required for upkeep. The humidifier for baby room will need it daily to weekly. To help save some time in maintenance using distilled water in whatever unit you choose. 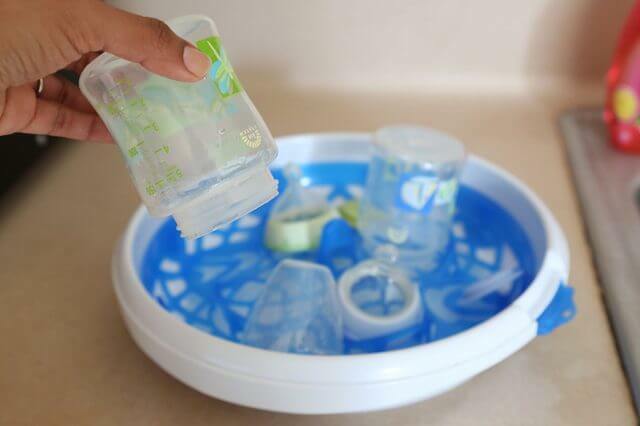 Baby Gear Lab recommends emptying out and refilling the water tank daily with a quick spot clean for potential discoloration (microbe growth). They also recommend doing a more thorough cleaning once a week. This constitutes scrubbing with distilled white vinegar or diluted bleach. 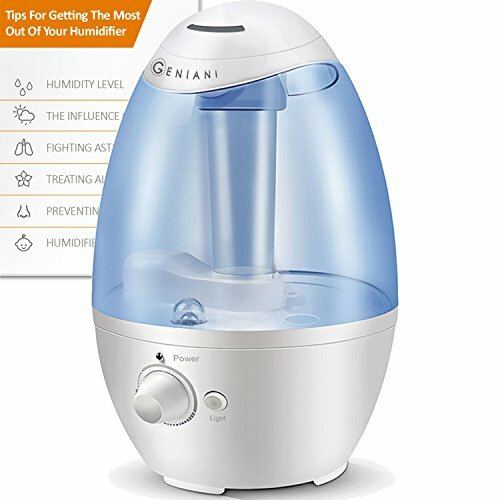 Whichever humidifier or dehumidifer you choose will be the best humidifier for baby, because you know what your needs are and you know your baby. The best recommendation if you are not 100% sure, is to talk to your baby’s doctor about the local humidifier needs. The doctor will more than likely have been asked that question before and can give you an idea of what to look for regarding your area. When you have your parameters, here is are some products for your consideration.